In this updated version of the free eBook, we've incorporated almost 25% new tips, including ideas to take advantage of U.S. Postal Service rates and programs. We’ve grouped the tips into 11 topics. We recommend reading all the topics, even if you don’t have direct responsibility for that area today. Who knows what you may have responsibility for tomorrow? 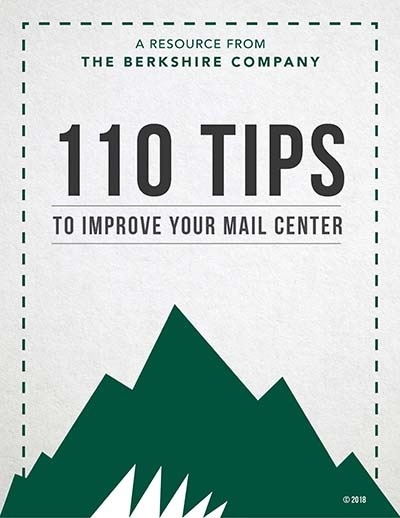 After reading 110 Tips, share it with your employees, your peers, and your manager. You may want to underline or highlight key points for your group. Also, you can use the booklet during staff meetings or brainstorming sessions to prompt ideas. We hope that you find the information helpful, and we look forward to seeing you at the upcoming National Postal Forum in San Antonio!